It's Monday, April 15, 2019. Let's start here. 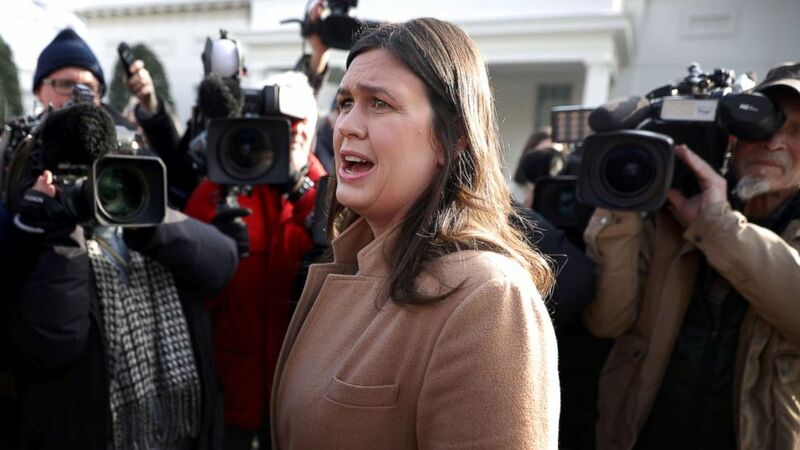 The White House is seriously considering a plan to ship migrants to "sanctuary cities" unless Congress otherwise cooperates, Sarah Sanders, the White House press secretary, said on "This Week." "We're looking to see if there are options that make it possible, and doing a full and thorough and extensive review," Sanders said. "The president likes the idea, and Democrats have said they want these individuals into their communities, so let's see if it works and everybody gets a win out of it." President Donald Trump has claimed the government has the "absolute legal right" to enact the proposal, but Democrats have questioned its legality as well as its potential effectiveness, ABC News White House Correspondent Tara Palmeri says on "Start Here." "It actually could be a compelling reason to cross the border into the United States if you know that you will end up in a city where they are welcoming to migrants," Palmeri tells us. "Your chances of planting roots in this country are better when you are in a 'sanctuary city.'" Pete Buttigieg, the mayor of South Bend, Indiana, after outraising Democratic rivals and surging in polls and saying on "Good Morning America" that "we do need to call out hypocrisy when we see it" referring to the president and vice president, finally, officially announced a final, official decision: He's running. "It was literally raining inside, 35 degrees," ABC News Chief National Correspondent Matt Gutman says on today's podcast. "People should've been miserable, but they were ecstatic." "This guy," Gutman says, "is going to make a difference. Is he going to be the next Democratic presidential candidate? Who knows?" ESPN's Scott Van Pelt addresses how Woods' scandals over the last decade have played out within the golf world: "It was the loudest cheer I ever heard in my life because he won a tournament. That tells me all that I need to know about how people feel about whatever went wrong between he and his ex-wife." "Start Here," ABC News' flagship podcast, offers a straightforward look at the day's top stories in 20 minutes. Listen for free every weekday on Apple Podcasts, Google Podcasts, iHeartRadio, Spotify, Stitcher, TuneIn or the ABC News app. Follow @StartHereABC on Twitter, Facebook and Instagram for exclusive content and show updates. 'By signing this bill today, we are providing terminally ill patients and their families with the humanity, dignity and respect that they so richly deserve at the most difficult times any of us will face': New Jersey becomes the seventh state, in addition to Washington, D.C., to allow death with dignity. 'I can tell you explicitly, you have not been given power or authority by Congress to have war with Iran': Does labeling a branch of Iran's military a terrorist organization lay the groundwork for future military strikes against Iranian forces? 'When he fell, he was attacked': The "world's most dangerous bird" kills a Florida man. What's behind MLB's bizarre spike in contract extensions? : By taking players out of the arbitration system, the teams not only cap earning potential for those players, they also reduce salary comps for other players. The moment every "Star Wars" fan was waiting for happened Friday in Chicago: The celebration panel for "Episode IX" that featured interviews from the cast, secrets from the film and much, much more. The first teaser trailer hinted at the possible return of perhaps the single greatest "Star Wars" villain of all time: the emperor. Fisher died in 2016, but there was enough unused footage of her from "The Force Awakens" -- a "weird miracle," Abrams described it -- to include her as a character in "Episode IX." "We all just loved her," Abrams said. "Princess Leia lives in this film."